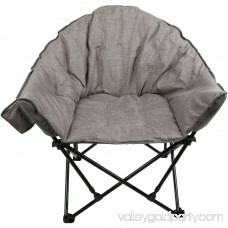 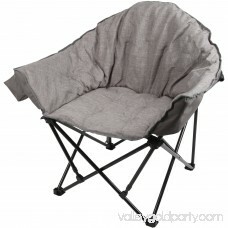 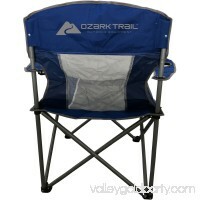 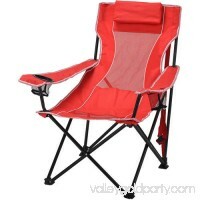 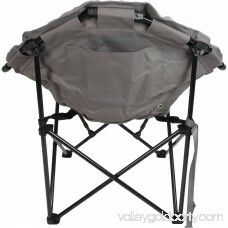 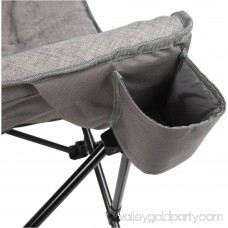 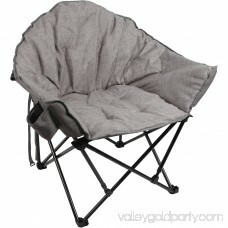 Rest easy in the Ozark Trail Club Chair around the house or at the campsite. 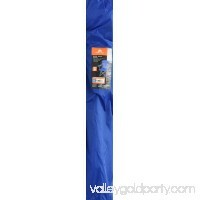 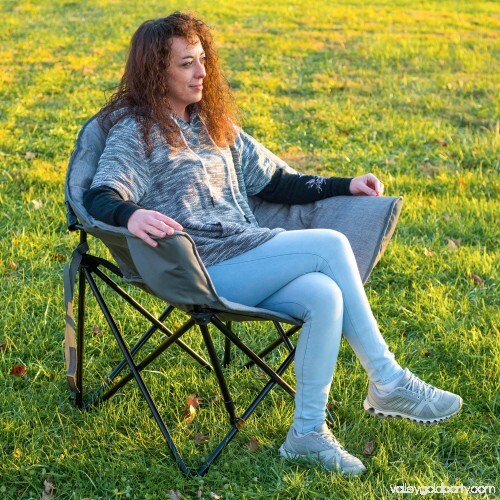 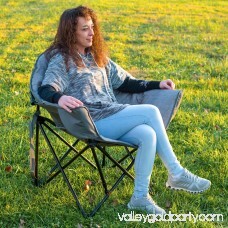 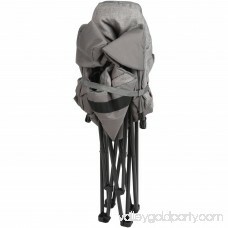 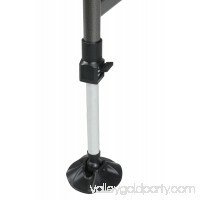 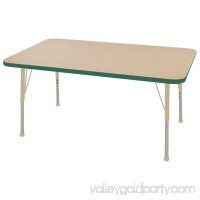 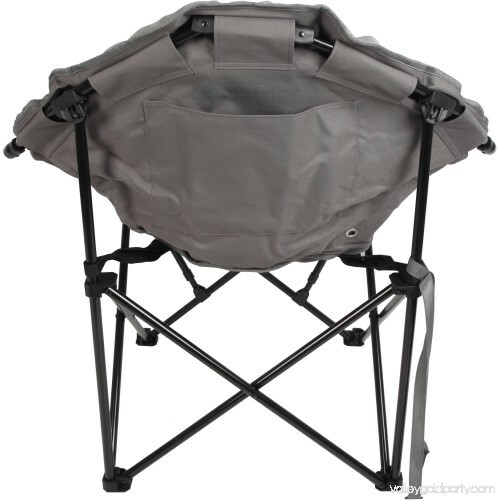 Made with a durable steel frame that holds up to 300 lbs, the linen-like fabric on front is stylish and comfortable, especially with the polyester filling to cushion you. 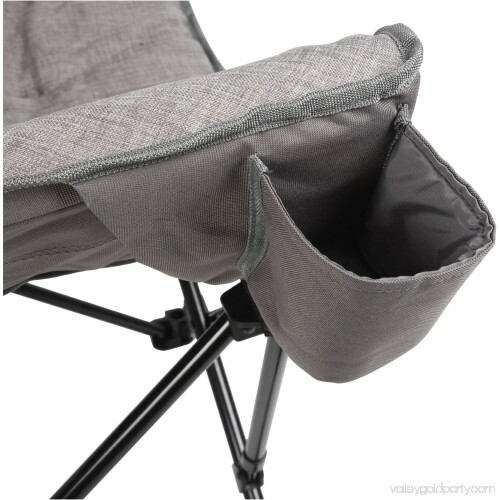 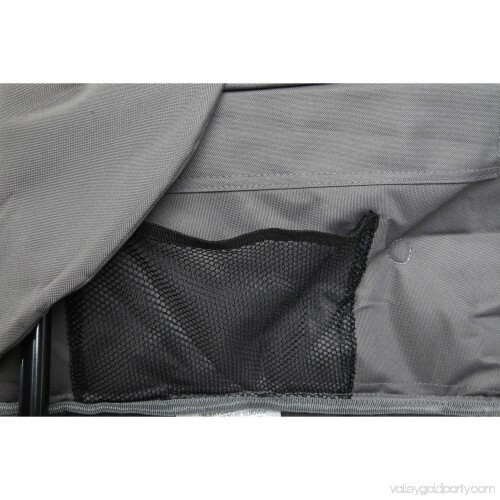 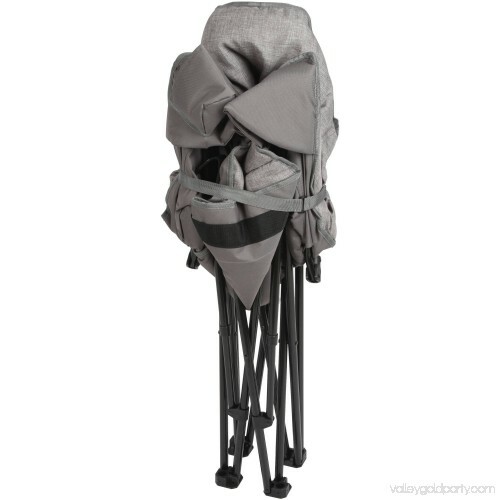 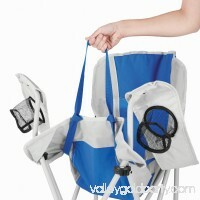 There's even a fabric cup holder for your drink, and it comes with mesh and fabric carry bag for easy toting and stowing away, without taking up the whole closet.